Operational rules for determining QBI deductions. 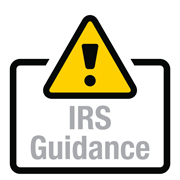 These include guidance on how to apply the phaseout rules that can reduce or eliminate QBI deductions for individuals with taxable income (calculated before any QBI deduction) that exceeds the phaseout threshold of $157,500, or $315,000 for married people who file jointly. Definitions of QBI and other terms of art used to apply the QBI deduction rules. For example, the term "QBI" refers to the net amount of qualified items of income, gain, deduction and loss from an eligible trade or business. Guidance on when QBI deductions can be claimed based on qualified income from publicly traded partnerships (PTPs) and qualified dividends from real estate investment trusts (REITs). Special computational and reporting rules that pass-through entities, PTPs, trusts and estates may need to follow to provide their owners and beneficiaries with the information necessary to calculate allowable QBI deductions at the owner or beneficiary level. While these regulations are in proposed form, taxpayers can rely on them until final regs are issued.